Thinking of installing kitchen cabinets? You could benefit greatly from installing new kitchen cabinets that make sense for your home and storage needs. Not only does cabinet installation improve the value of your home, but it also makes your life easier on a day-to-day basis. Continue reading to learn the 5 reasons our kitchen remodeling contractors may recommend installing new kitchen cabinets. Are your countertops cluttered by what can’t fit in your kitchen cabinets? If so, it’s time to call our kitchen remodeling contractors. We can increase the storage space in your kitchen so there’s a place for everything. We’re even able to design and build custom cabinetry so you can cook with ease. The more storage space you have, the easier it’ll be to cook in your kitchen. For example, putting seldom-used kitchen appliances on high shelves can free up counter space. 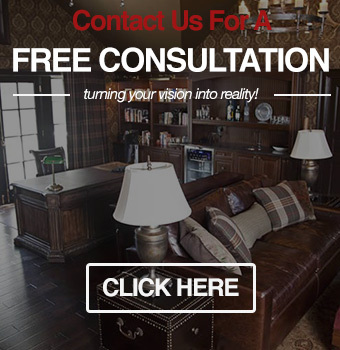 We’re able to work with you to make sure your next kitchen remodel is a success. Cabinets take up a lot of surface area, which affects your kitchen’s interior design. For example, white kitchen cabinets can help a room look more spacious and airy. When you carefully design your home, you want to make sure your kitchen cabinets match the rest of your aesthetic. We’re able to build custom cabinetry that fits your lifestyle and design preferences. The kitchen is one of the most-used rooms in your house. If you’re trying to sell your home, dingy cabinets can leave a bad first impression. Fortunately, our remodeling contractors have experience installing kitchen cabinets. We understand that kitchen cabinets are an investment in your home, which is why we work with you to pick the right colors and styles. We recommend choosing cabinets that are high quality so they’ll last for years to come and add value to your home. Look at the “bones” of your current kitchen cabinets. If the original kitchen cabinets are low quality, you’re better off replacing them. Fortunately, our remodeling contractors have plenty of experience replacing kitchen cabinets so you can increase the property value of your home. Is it a hassle to cook anything in your kitchen? We can help you design a kitchen you can actually use. Our kitchen remodeling contractors will work with you to choose from pull-out drawers, rotating shelves, and other custom cabinetry. During the design phase, we’ll ask you questions about how you plan to use your kitchen so we can create custom cabinetry that works for your lifestyle. For example, we might design different kitchen cabinets for someone who loves to cook versus someone who regularly hosts parties. 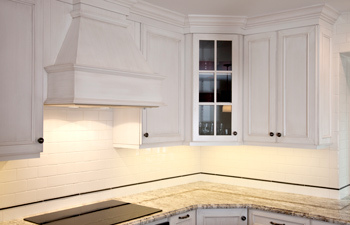 Our Oakland County kitchen contractors are ready to help you design and build the best cabinets for your home. If you’re looking for high-quality cabinets, you can trust our years of experience and customer service. To request your quote for installing kitchen cabinets, call Visionary Cabinetry & Design at (248) 850-7178.